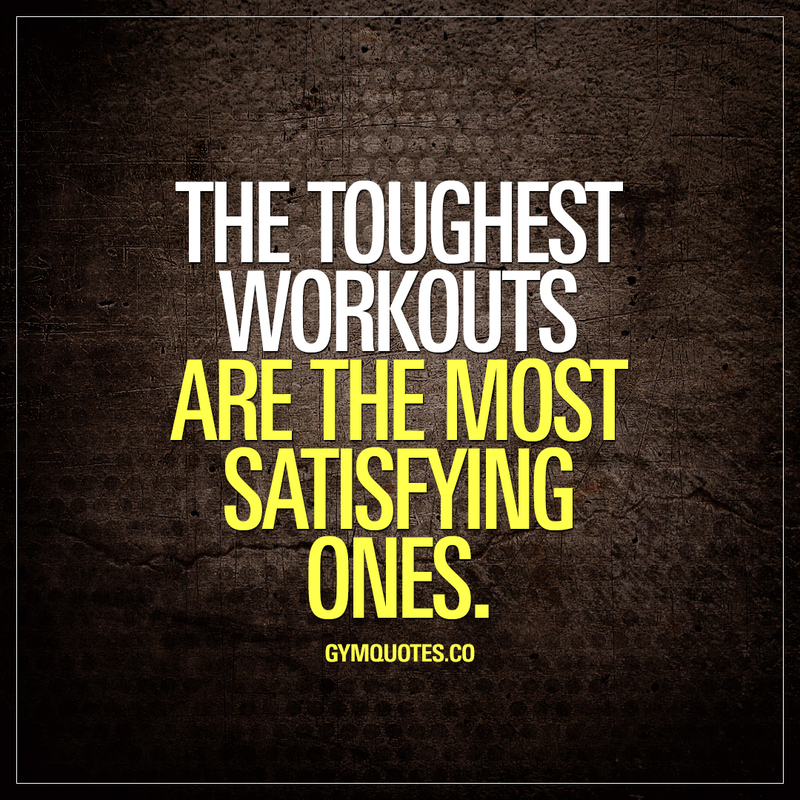 Tough workout quotes: The toughest workouts are the most satisfying ones. Think about it. The BEST post workout feeling is the one after the toughest workouts. That insanely satisfying feeling is always after that brutally tough workout. Nothing beats that satisfying feeling. Nothing. If you like this tough workout quote, then make sure you share it with someone you want to inspire!